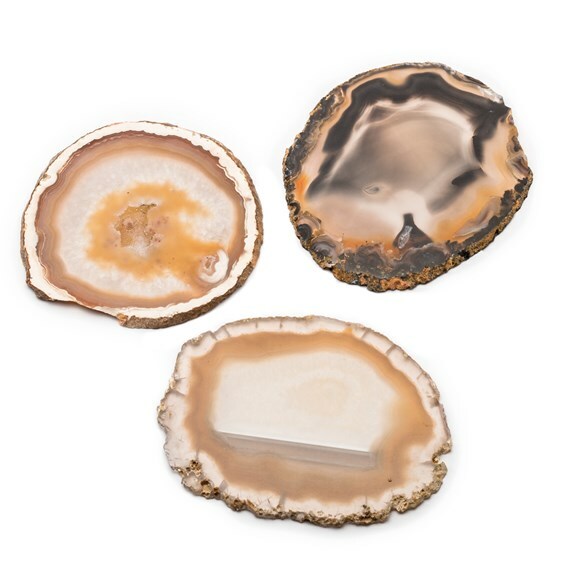 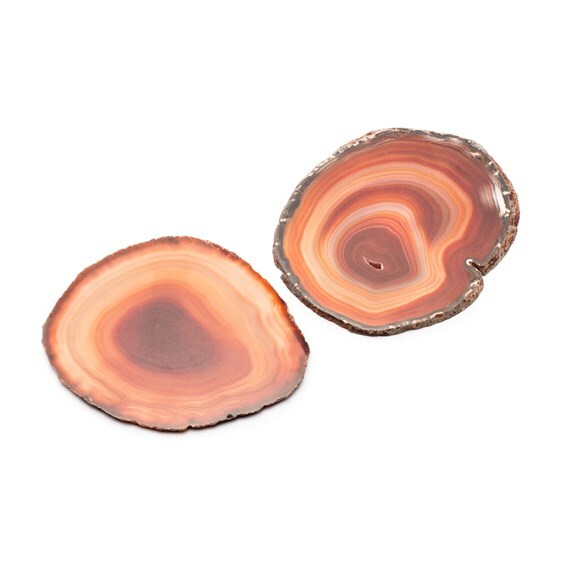 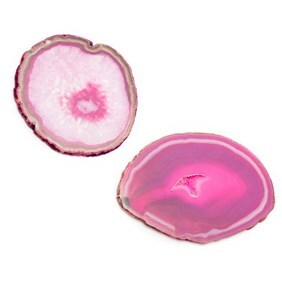 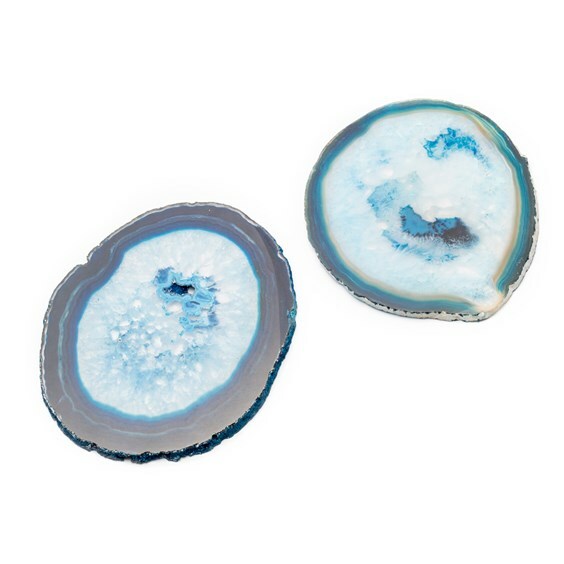 These beautiful decorative agate slices are available in 4 colours, orange, blue, natural and pink. 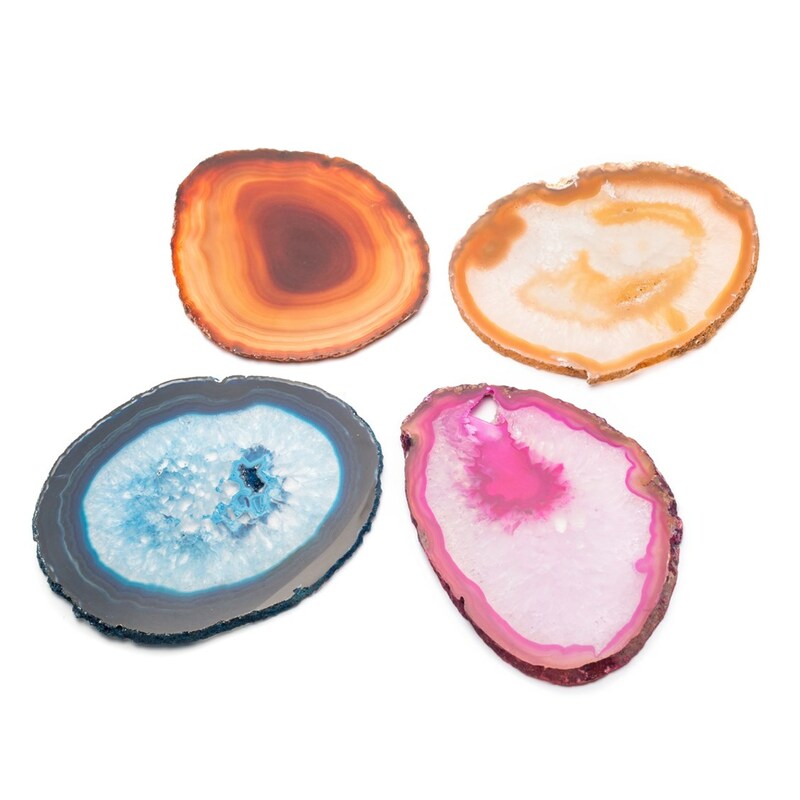 Some have natural drusy growing on the surface and some have a fascinating natural banding or marking. Each slice is totally individual and unique. Due to their large size, these are not suitable for jewellery making.